The chances are that you have no idea what Ashitaba plants are and why Ashitaba tea benefits would be much greater than the benefits of green tea, for example. Most of us have never heard of Ashitaba – some obscure herb native to Asia. Asians, on the other hand, consume foods containing Ashitaba plant leaves and sap almost every day, experiencing much fewer heart problems and looking slimmer compared to the US population. What is this mysterious Ashitaba plant? Ashitaba ( Angelica Keiskei) is a lush green plant that has its origins on the island of island of Hachijo Japan where the warm tropical currents pass by on their way North to meet the cold Arctic waters of the Pacific. 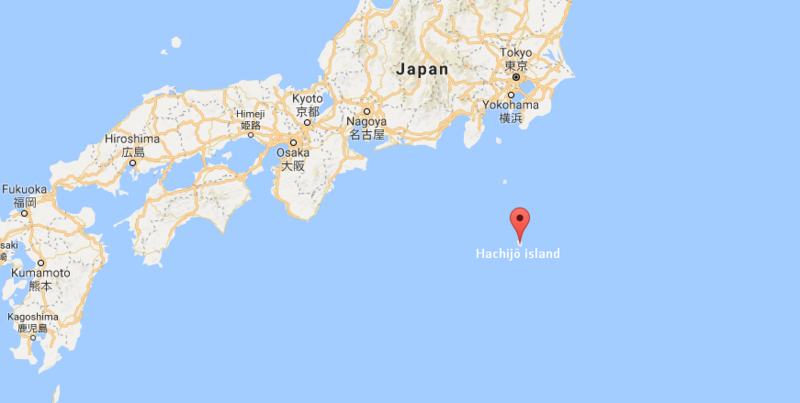 Hachijō-Jima or Hachijō island is one of the small islands located 178 miles South of Tokyo. During the Edo period, ( between 1603 and 1868) the island became known as a place of exile for convicts such as political rebels and later common criminals. Guards that regularly sailed from the mainland delivering new convicts began noticing in time that criminals that were staying on the island were more energetic with no signs of aging compared to the mainland guards who brought them to Hachijō-Jima many years ago. As time progressed some guards started passing away but the islanders just kept living in spite of lack of food and harsh conditions. Guards began asking what was the secret that helped convicts live up to their 90s in good health. Note that an average lifespan of Europeans in the 17th century was around 45 or so years. Naturally, none of the islanders could come up with anything special to share. Later on, someone figured out that the main food component of the people living there was this bitter herb resembling large parsley or celery (Ashitaba). They ate it raw, boiled in soups, and brewed plenty of Asitaba tea since it was one of a few edible greens growing in abundance there. 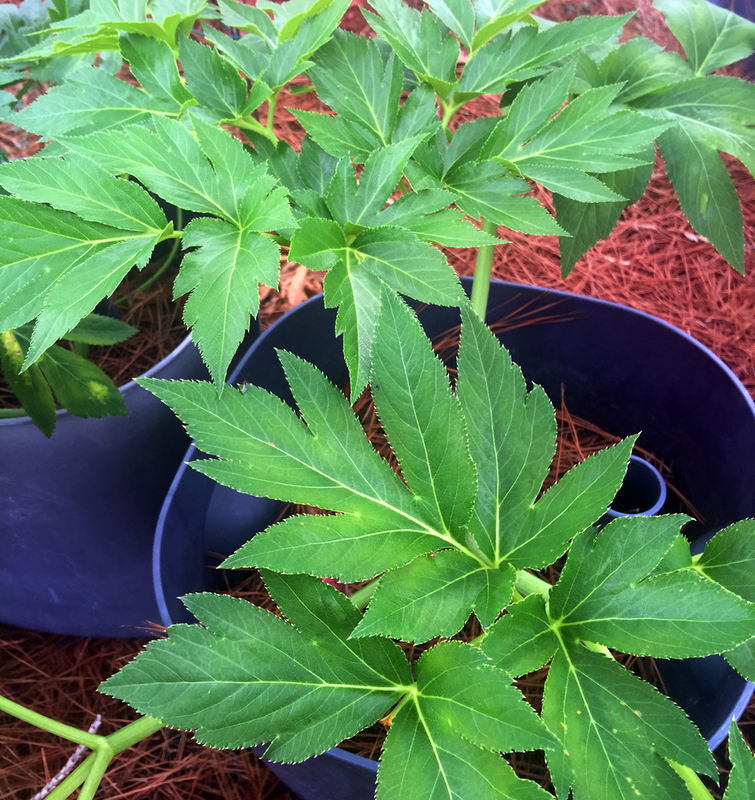 The above picture shows 2-years old Ashitaba plants growing in 2-gallon flower pots. 6-10 plants like these are enough for a family of 4 to make Ashitaba salads every day, prepare Ashitaba tea or use Ashitaba leaves and steams in your morning smoothies. Ashitaba tea benefits were already well-known in the East by that time. Its name can be translated as “Tomorrow’s Leaf” because of the ability of the plant to grow new leaves in a matter of a few days (4-5 in real life). Its healing properties were described in several Chinese books, including the one by Dr. Lee which was translated into many languages. In 1606, the book was brought to Japan and was presented by Razan Hayashi to the Shogun. 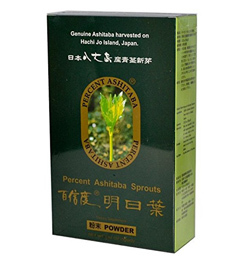 Nowadays large and small farms in Japan, Indonesia, and many other countries grow Ashitaba plants not only for food but also for healing purposes. Numerous research studies discover and confirm a number of outstanding medicinal properties. What are the main health benefits of Ashitaba plants? 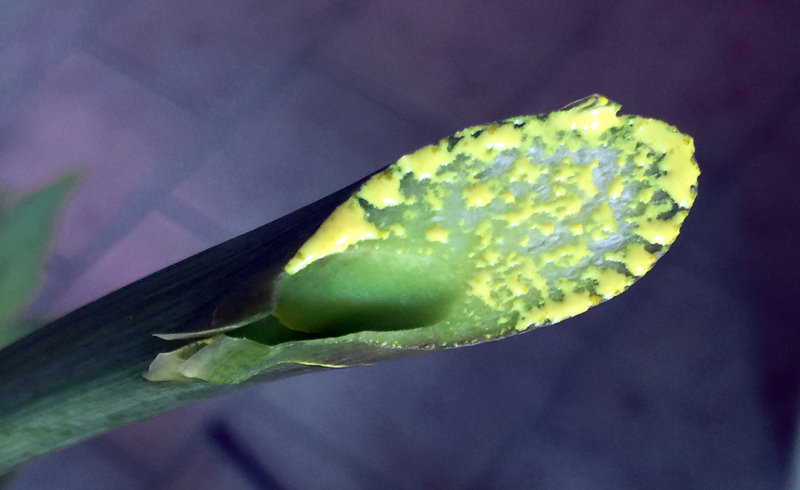 When you break or cut the stem of Ashitaba plant, a sticky bright yellow sap oozes out. This juice contains Chalcones, a class of potent flavonoid compounds. Chalcones are very valued by pharmaceutical manufacturers. This sap with Chalcones has shown a visceral fat reduction in several test groups during studies conducted by Japanese scientists. 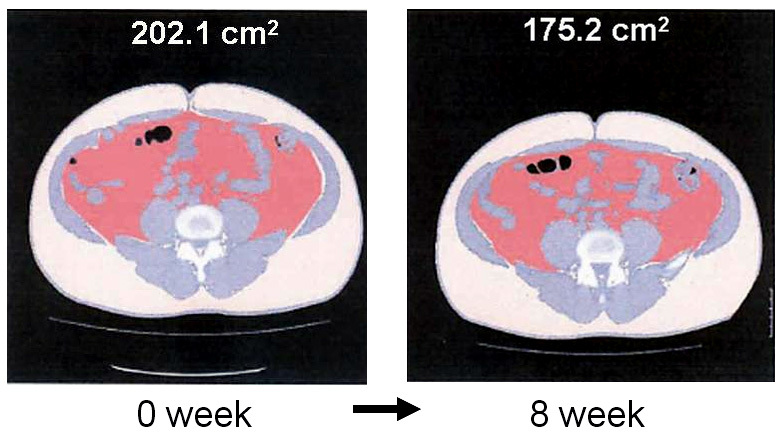 We will expand on some of the main Ashitaba health benefits in our future posts. Where can you get Ashitaba plants? 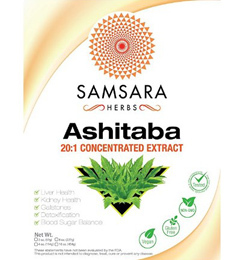 A number of online sources sell different products containing Ashitaba plant powder (leaves) and dry leaves. Korean or Japanese food stores such as H-Mart may carry Ashitaba tea or powder mixes. 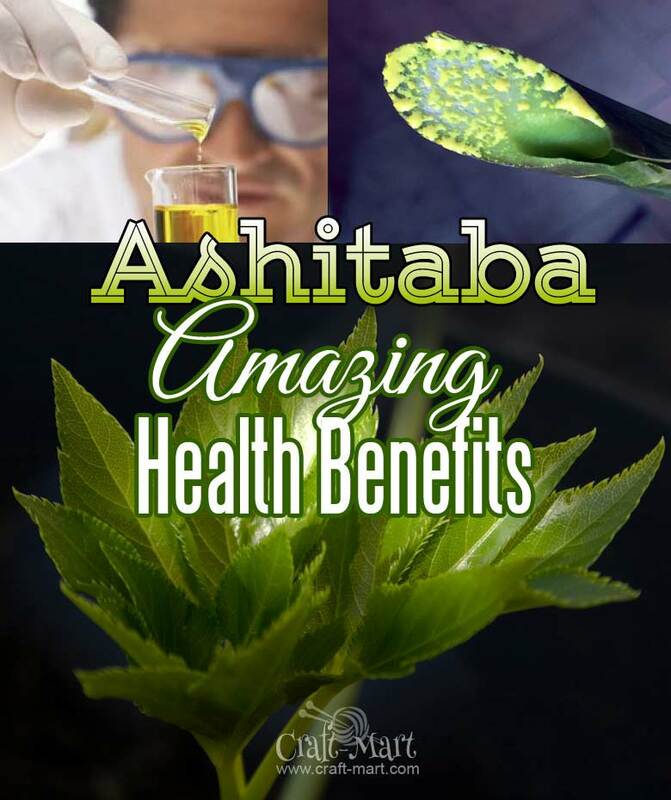 Want 100% of Ashitaba health benefits? Grow your own Ashitaba plants! Every year more and more people in the US are joining Ashitaba plants growers club. 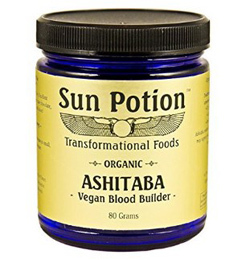 All you really need is a pack of Ashitaba seeds and a few flower pots. For a faster start search for “Ashitaba plants for sale“. If you live in one of the Southern states you may even find a local grower and get a few small Ashitaba plants. A couple of years ago we decided to sell some extra Ashitaba seeds that one of our plants produced on eBay. There was a lot of interest and our 2,500+ seeds were sold in 3 weeks in sets of 20 and 50. The last order came from Hawaii. An owner of a small farm purchased ~800 last seeds. Several months later he reported that almost all of them sprouted and growing rapidly. Besides him being a professional farmer a few other things contributed to such a great success. Ashitaba plants love volcanic soil, foggy island mornings and sunny afternoons. Another main component is pure filtered water that volcanic islands have in common. It will not actually sprout if watered with regular tap or even bottled water containing traces of chlorine and other impurities. So, if you are brave enough for diving into Ashitaba plants growing endeavor, use distilled or RO (reverse osmosis) water only unless you are one of the lucky volcanic island residents. Another important thing to ask the sellers of Ashitaba seeds if their seeds are not older than 3 months. Try getting the freshest seeds because after 3 months germination rate starts dropping really fast no matter where and how sellers keep their seeds. We know that not everyone is excited about Ashitaba tea in our coffee-dominant culture. 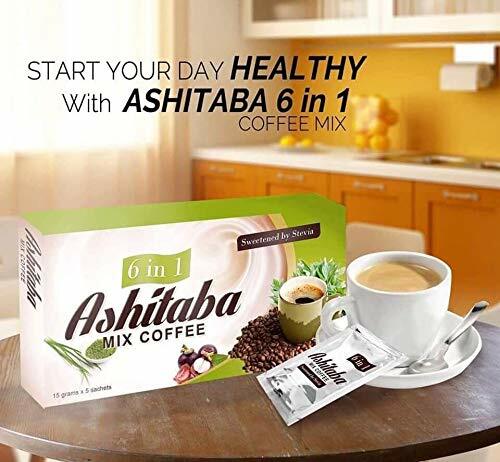 If you want to take advantage of those amazing Ashitaba health benefits and keep your busy mornings coffee routine why not to try Ashitaba Mix Coffee (shown below)? This is an organic coffee with a number of health benefits in addition to Ashitaba tea ones which helps you to boost your immune system and serves as an anti-oxidant to our body.